DO NOT MISS OUR RUGS CLEANING SPECIAL! Hiring a professional oriental rug cleaning and restoration service is an essential part of preserving the value, beauty and integrity of your antique and modern styles rugs investments. 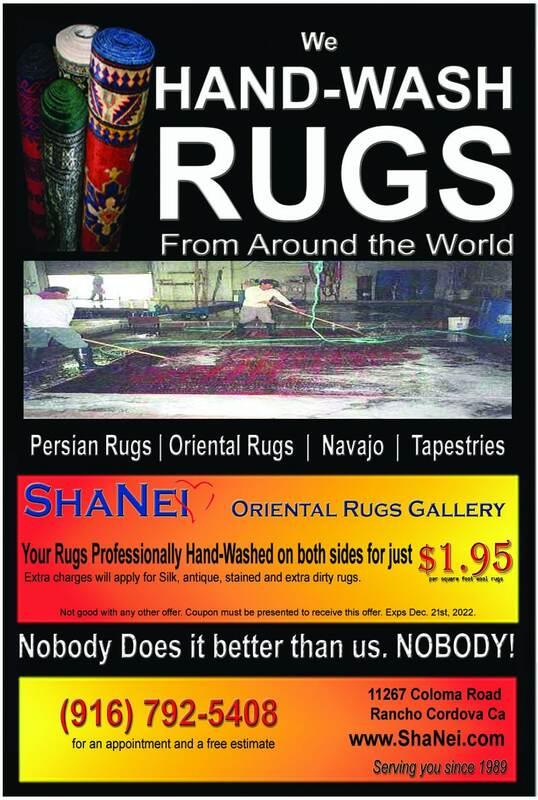 At ShaNei, our antique rug restoration experts and professional rug cleaners have been cleaning antique rugs and modern rugs since 1989. To us, cleaning a rug goes beyond removing the surface dirt. It is also an important part of maintaining the natural fibers and rug structure. Our expert oriental rug cleaners are trained to cleanse antique and modern rugs from all natural fibers, including cotton, wool and silk. For the past three decades, our antique and modern rugs cleaning team in California has reinvigorated valuable textiles and rugs made with sensitive colors and delicate natural fibers. As a leader in the global market of Persian & Oriental Rugs, we have the knowledge and experience to safely clean high-end persian rugs and irreplaceable antique oriental rugs. Our professional rug cleaners deliver service with a level of care that has made us a choice for international collectors and the most discerning clients. 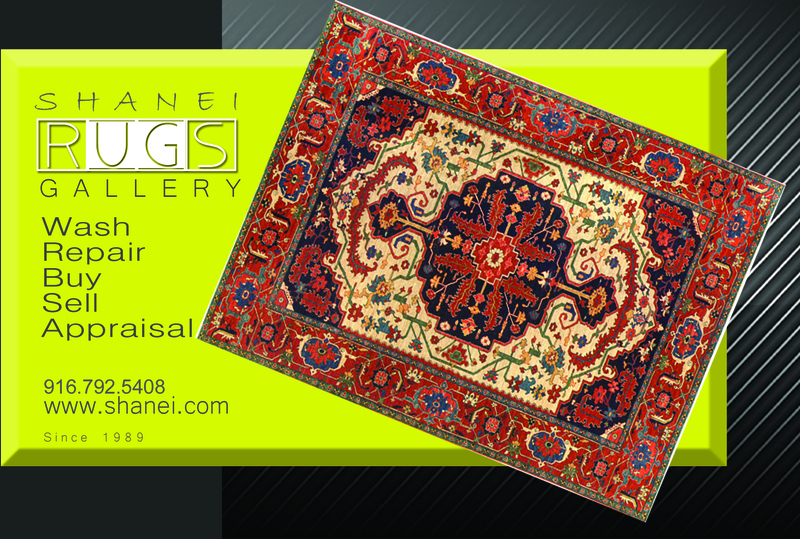 With ShaNei's experience in Antique and Modern Rugs, we will make your rug look elegant, sharp and breathtaking once again. We know the importance a clean carpet can bring to your homes environment; this is why we will treat your rug with the best of care. A professional cleaning is recommended for most rugs and carpets every three to four years. Our cleaning process two to three weeks. With our locations in Gold River, we consider ourselves experts in the Persian and Oriental Rug and Rug Cleaning and Rug Repair industry. Contact us to have your existing rug cleaning done by professionals. We have a experienced, skilled and thorough oriental rug restoration department. If your handmade rug is damaged let us fix it before the damage becomes worse and more difficult to restore. We can repair holes or tears in the edges and body of your oriental carpet or rug, replace the pile where it has worn away and other forms of Oriental rug restoration. Our Scotch-guard treatment is highly recommended for any area rugs – domestic or oriental – that are used in high traffic areas or in areas where food and beverages are served and consumed. Scotch-guard protection will prevent spills from penetrating quickly so that you will have more success in spot cleaning. If you are planning to have your wool pile rugs stored for six months or longer, we recommend that they be moth-proofed. In addition, all rugs that will not be in use for any length of time should be protectively wrapped for storage with mothballs wrapped in clear plastic for extra protection. Periodic appraisal of your rug can be very helpful should your rug be involved in a fire, theft or other loss. A replacement cost appraisal can be done in your home or at our store. Call us to discuss. Pickup and Delivery – throughout the greater Sacramento area. With our 30 years experience crow ready to serve you. Please allow 2-3 weeks for cleaning, and an additional time for repairs, if needed. NOBODY DOES IT BETTER THAN US. NOBODY!